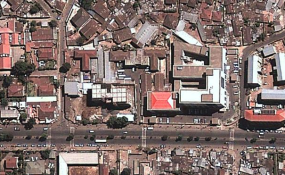 Today, Ethiopia's ruling coalition announced it would release political prisoners and close the infamous Maekelawi detention center in the capital, Addis Ababa. While the government did not say how and when this would occur, doing so would be an important step toward ending longstanding political repression and human rights abuse in the country. Numerous questions remain regarding timelines for implementation, who qualifies as a "political prisoner," and how many detainees will be freed. Will the release only include well-known figures like Bekele Gerba, an ethnic Oromo politician detained since December 2015? Or will the thousands of ordinary detainees held in military camps and police stations, often without charge, for peacefully protesting against government policies also be freed? What, if any, conditions will be placed on those released? More fundamentally, does the government's announcement signal a new approach to dissent in Ethiopia? Will people be allowed to protest peacefully, without fear of arrest, intimidation, or politically motivated charges? Federal police investigators have long used Maekelawi to interrogate Ethiopia's most prominent political prisoners. As Human Rights Watch documented, torture and mistreatment are major problems there and across Ethiopia's detention sites. While Maekelawi's announced closure is good news, it will mean nothing if prisoners are simply relocated to another facility to face the same abuses. The government should send a message to security officials countrywide that torture and other ill-treatment is prohibited and will be punished. And it can start by holding to account those responsible for torture at Maekelawi. Over the last two years, government security forces have arrested tens of thousands of people and killed over 1,000 protesters. This crackdown has led to resolutions from the European Parliament and growing concern from the United States Congress. Whether today's announcement is a genuine step toward reform or merely a move to stifle growing international criticism is unclear. Governments shouldn't wait to find out, but press Ethiopia in the coming weeks to create a timeline for releasing all those held for their peaceful political views and dropping any charges against them. Ethiopia's government should also adopt other human rights reforms, including permitting peaceful protests and reforming repressive laws. It should also stop restricting access to information by ceasing jamming of foreign radio and television transmissions and unblocking the internet, which has been unavailable in many parts of Ethiopia since mid-December. Such reforms would signal the ruling coalition's willingness to listen to its citizens' calls to end repression and embark on a path that offers greater respect for human rights.